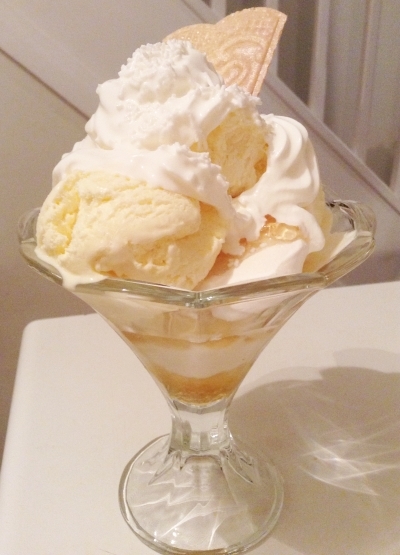 Here’s a recipe for a lemon meringue sundae I just whipped up. It’s been hot, sweaty and humid for a while and our patio door is still open at night; a brief few hours of cool breeze. Please note that I’m not complaining – last summer in Britain was like living underwater. This is a deliciously tangy and refreshing dessert for hot days. Ideal perfume to wear whilst enjoying it: Eau de Shalimar. 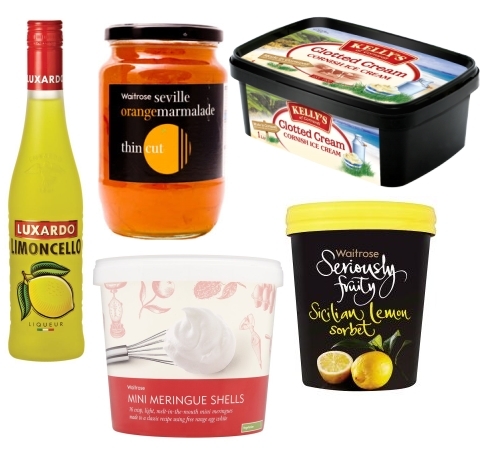 I used Luxardo Limoncello, mini meringue shells, lemon sorbet and marmalade from Waitrose (but Sainsbury’s lemon sorbet is also good and any nice marmalade will do). Kelly’s clotted cream ice cream tastes very similar to home-made ice cream and suits this concept very well. You could also try anything that isn’t too heavily vanilla-flavoured; you’ll need something creamy. Great Post.thank you for share… waiting for more.